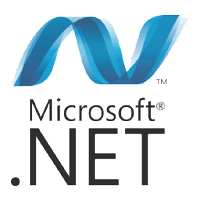 Microsoft .NET Framework is a comprehensive development platform for building all kinds of applications for Windows, Windows Phone, Windows Server, and Microsoft Azure. It consists of the common language runtime (CLR) and the .NET Framework class library, which includes a broad range of functionality and support for many industry standards. The Microsoft Framework provides many services, including memory management, type and memory safety, security, networking, and application deployment. It provides easy-to-use data structures and APIs that abstract the lower-level Windows operating system. You can use a variety of programming languages with the .NET Framework, including C#, F#, and Visual Basic. Microsoft .NET Framework 4.7.0 is a highly compatible, in-place update to the Microsoft .NET Framework 4, 4.5, 4.5.1, 4.5.2, 4.6, 4.6.1 and 4.6.2. The offline package can be used in situations where the web installer cannot be used due to lack of internet connectivity. Note: The offline package can be used in situations where the web installer cannot be used due to lack of internet connectivity. This package is larger than the web installer and does not include the language packs. Disclaimer: Direct downloads for the lastest version of Microsoft .NET Framework 4.7.0 are provided by the official software's author, we can't guarantee safety, availability or download speed. Moreover, we don't and we won't provide any pirated/illegal versions or tools. We recommend you to avoid it as these methods can harm your device. If you like the software, buy it to support the developers. (We provide software discounts for many worldwide brands).